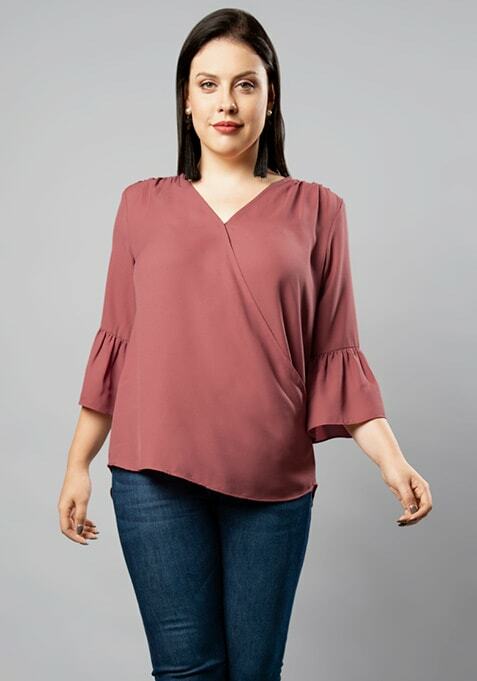 Thoughtfully designed, this pink top is a wardrobe must for curvy divas. Features a layered design and polka dot print all over. Work It: Work that attitude by teaming this top with boot cut bottoms and big gold hoops.